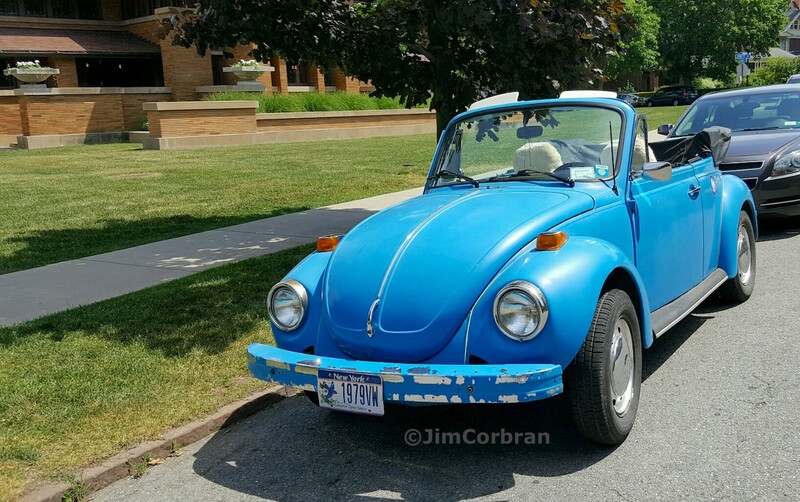 This 1979 VW Beetle is notable for two reasons: it marked the final year of the old-style Beetle’s sales in North America, and it was the final production year world-wide for the convertible model. VW sedan sales ended in America with the 1976 models (although they would still carry on in some other countries until 2003). The new front-drive, water-cooled Rabbit/Golf pretty much put the final nail in the coffin of the Beetle, Bug, or Type 1 — whichever name you preferred. Saw this one last weekend outside the Darwin D. Martin House in Buffalo.